As a firm believer in the primacy of the candidate experience, NAS Recruitment Innovation is always interested in the facts, data and trends within our industry. 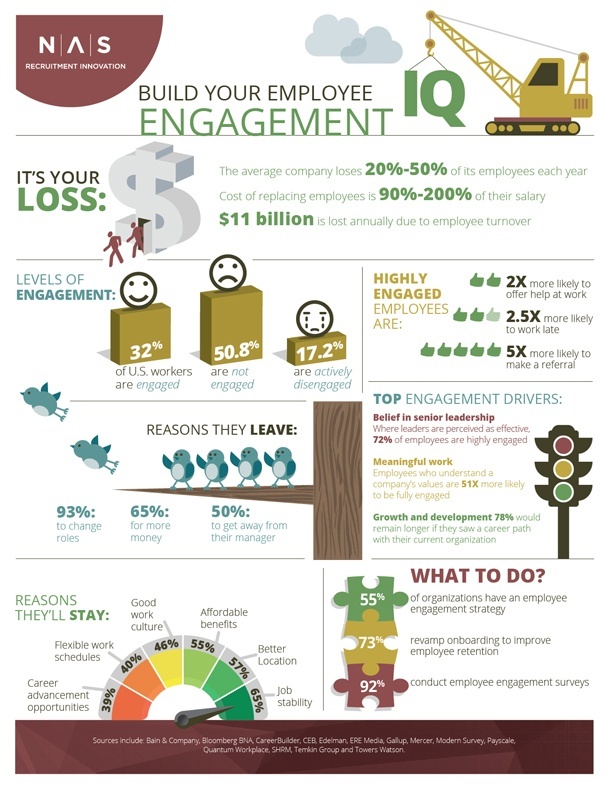 Our new infographic offers insight into an important topic: employee engagement and retention. We've assembled a variety of information from trusted industry sources that can help you better understand why employees leave, and what builds better relationships and more satisfying work experiences. This is just the latest in a series of infographics we've created. 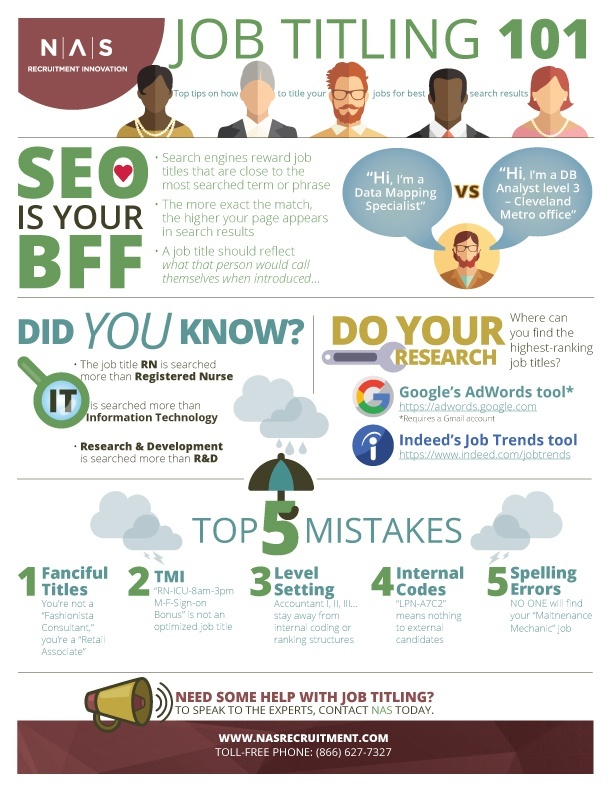 Download a free e-book with all of our recruitment marketing infographics, including topics such as mobile recruiting, Google's role in recruiting and the candidate experience.